Injection mould polishing is also called mould grinding, is generally a process in which the surface of mould cavity is polished by using oil stone, sandpaper, polishing paste, wool wheel, etc. 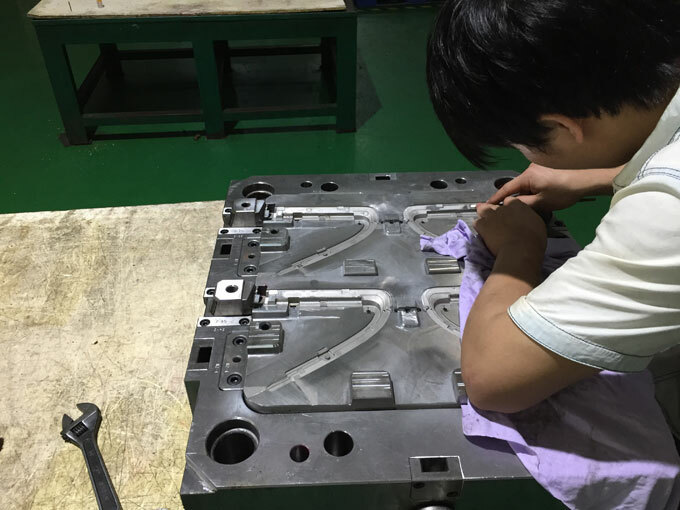 so that the working surface of injection mould can be bright as a mirror. 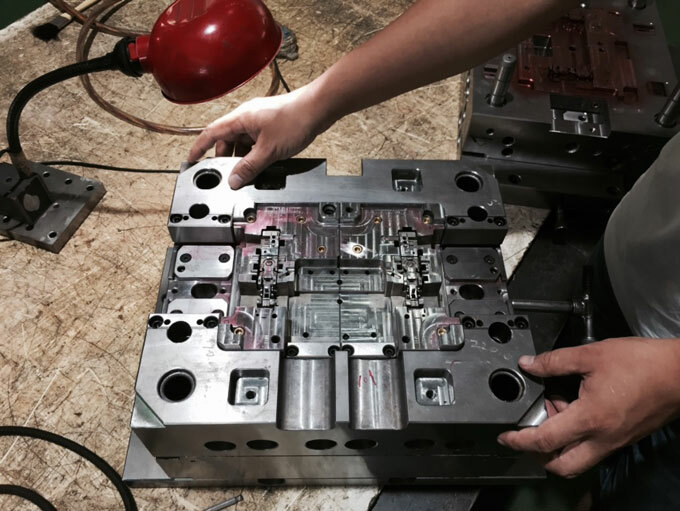 Injection mould polishing has 2 purposes, one is to increase the smoothness of plastic injection mould, so that the surface of the plastic moulded product is smooth and beautiful. And the other is making the injection moulded products easy to demould and reducing the injection moulding cycle time. Diamond grinding and polishing must be carried out under light pressure, especially when polishing pre-hardened steel and polishing with fine abrasive paste. When polishing with 8000# abrasive paste, the common load is 100-200g/cm2, but it is difficult to maintain the accuracy of this load. To make this easier, you can make a thin, narrow handle on the strip or cut a part of the strip to make it softer. This can help control the polishing pressure to ensure that the mould surface pressure is not too high. When using diamond grinding and polishing, not only the working surface is required to be clean, but the workers' hands must also be very clean and in order to better guarantee the quality of the injection mould. For harder mould surfaces, only can be polished by cleaned and soft oilstone grinding tools. When changing the sand level during polish, the workpiece and the operator's hands must be cleaned to avoid carrying the coarse sand to the next fine grinding operation. When performing each grinding process, the sandpaper should be sanded from different 45° direction until the upper sand grain is removed. When the upper sand grain is removed, the sanding time must be extended by 25%. The next finer sand number can be converted. Change the different directions during grinding to avoid the unevenness of the workpiece. When a new cavity begins to be processed, the surface of workpiece should be inspected at first, and the surface should be cleaned with kerosene so that the surface of oilstone does not stick to dirt, which avoid the loss of cutting function. When grind the rough grain, it should be carried out in the order of difficulty and easiness. In particular, some dead corners that are difficult to grind, the deeper bottom must be grinded first, and finally the side and the big plane. Some workpieces may have multiple pieces assembled together for grinding. It is necessary to separately grind the rough or fire pattern of a single workpiece, and then all the workpieces are grinded to be smoothed. For workpieces with large flat or side flat, use oil stone to grind rough grains and then use straight steel sheets for light transmission inspection to check whether there are any defects of uneven or undercut. If there is undercut, it will be difficult to release the injection moulded part or the part will be strained. In order to prevent the mould workpiece from grinding undercut or having some bonding surfaces to be protected, it can be pasted with a saw blade or sanded on the edge, so that the ideal protection effect can be obtained. The flat of the grinding mould is pulled back and forth, and the handle of the oil stone is pulled as far as possible, not to exceed 25°. Because the inclination is too large, the force is pressed from the top to the bottom, which easily leads to the development of many rough grains on the workpiece. If the flat of workpiece is polished with copper or bamboo pressed sandpaper, the sandpaper should not be larger than the tool area, otherwise it will be ground in places that should not be ground. Try not to use the grinding machine to repair the mould parting surface. Because the parting surface ground by wheel head is rough and the waves are uneven, if necessary, the grinding wheel head must be repaired to the concentricity balance. The shape of tool to be ground should be close to the mould surface shape to ensure that the workpiece is not deformed by grinding. During the machining process, the surface layer will be damaged by heat, internal stress or other factors, and improper cutting parameters will affect the polishing effect. The surface after EDM is more difficult to grind than that of after machining or heat treatment. 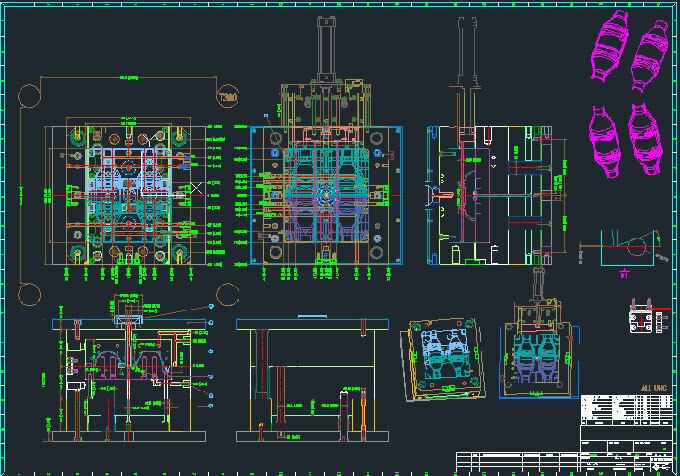 Therefore, EDM finishing should be used before the end of EDM, otherwise the surface will form a hardened thin layer. If the EDM finish is not properly selected, the depth of the heat affected layer can be up to 0.4mm. The hardness of the hardened layer is higher than the hardness of the substrate and must be removed. Therefore, it is best to add a rough grinding process to provide a good basis for polishing. If the heat treatment is not proper, the surface hardness of steel is uneven or the characteristics are different, which will cause difficulty in polishing. Because the polishing is mainly done by hand, the human skill is still the main reason that affects the quality of polishing. It is generally believed that the polishing technique affects the surface roughness. In fact, the good polishing technology is matched with the high-quality steel and the correct heat treatment process to obtain a satisfactory polishing effect. Conversely, the polishing technique is not good, even if the steel is perfect, the mirror effect is not achieved. High-quality steel is a prerequisite for good polishing quality, all kinds of inclusions and pores in steel will affect the polishing effect. In order to achieve a good polishing effect, the workpiece must be marked with the surface roughness of the polishing when starting the machining. When a workpiece is determined to require mirror polishing, the steel with good polishing performance must be selected and heat treated. Otherwise it will not achieve the expected results. 3. How to solve the common problems in injection mould polishing? All of defective surface is removed, the grinding particle size is slightly thicker than the previous sand number, and then ground, and the polishing intensity is lower than the previous one. Stress relief is performed at a temperature lower than the tempering temperature of 25 °C, and the finest sand number is used for polishing before polishing until a satisfactory effect is achieved, and finally polishing is performed with a lighter force. Polishing is an important process in the mould making process. With the increasing application of plastic parts, the requirement for the appearance quality of plastic parts is getting higher andhigher, so the surface polishing quality of plastic mould cavities should be improved accordingly. Moulds with specular and high-gloss surfaces have higher requirements on the surface roughness of mould and therefore higher requirements for polishing. Polishing not only increases the aesthetics of workpiece, but also improves the corrosion resistance and wear resistance of material surface.